HOHENBERG ENDÜSTRİ ÜRÜNLERİ SANAYİ VE TİCARET LTD. ŞTİ. 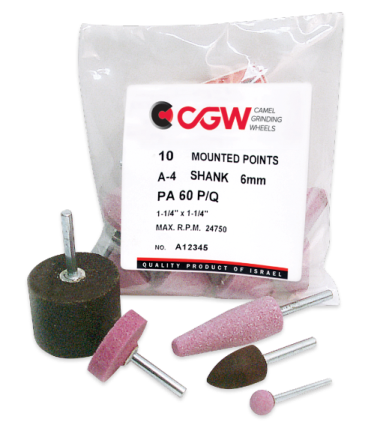 CGW offer a complete rang of shaped and cylindrical mounted points for off-hand general purpose application for light deburring of small areas and for off hand and precision grinding operations with medium or heavy stock removal. Available with, 3mm (1/8") or 6mm (1/4") shanks. © Copyrights 2018. Tüm Hakları Saklıdır.